Chaldeans, or Kasdim. At first a tribe, then a caste of learned Kabbalists. They were the savants, the magians of Babylonia, astrologers and diviners. The famous Hillel, the precursor of Jesus in philosophy and in ethics, was a Chaldean. Franck in his Kabbala points to the close resemblance of the “secret doctrine” found in the Avesta and the religious metaphysics of the Chaldees. Chaldeans, Chaldees To the seventh subrace of the third root-race belong the far-distant predecessors of the Mystery school; and to now forgotten geologic history the predecessors of those later called Chaldees, along with Hindu, Egyptian, Persian, and Phoenician sages. In their records are mentioned divine dynasties preceding the human kings, and the cycle of 432,000 years. From them came the origins of all such thoughts as are contained in the occult Nabathean Agriculture, and in their ancient records is found the source of the original Biblical cosmogonic allegories. The mathematical and astronomical lore of the Chaldeans was celebrated in all the ancient Mediterranean world: the word Chaldee often meant simply an adept, magician, or astrologer. In the Bible they are usually spoken of as Babylonians. Ab-Soo (Chald.). The mystic name for Space, meaning the dwelling of Ab the “Father”, or the head of the source of the Waters of Knowledge. The lore of the latter is concealed in the invisible space or âkâsic regions. Adonim-Adonai, Adon. The ancient Chaldeo-Hebrew names for the Elohim or creative terrestrial forces, synthesized by Jehovah. Aith-ur (Chald.). Solar fire, divine Æther. Alaparus (Chald.). The second divine king of Babylonia who reigned “three Sari”. The first king of the divine Dynasty was Alorus according to Berosus. He was “the appointed Shepherd of the people” and reigned ten Sari (or 36,000 years, a Saros being 3,600 years). Ama (Heb. )., Amia, (Chald.). Mother. A title of Sephira Binah, whose “divine name is Jehovah” and who is called “Supernal Mother”. Anâ (Chald.). The “invisible heaven”or Astral Light; the heavenly mother of the terrestrial sea, Mar, whence probably the origin of Anna, the mother of Mary. Anaitia (Chald.). A derivation from Anâ (q.v. ), a goddess identical with the Hindu Annapurna, one of the names of Kâlî—the female aspect of Siva—at her best. Anatu (Chald.). The female aspect of Anu (q.v.). She represents the Earth and Depth, while her consort represents the Heaven and Height. She is the mother of the god Hea, and produces heaven and earth. Astronomically she is Ishtar, Venus, the Ashtoreth of the Jews. Anu (Chald.). One of the highest of Babylonian deities, “King of Angels and Spirits, Lord of the city of Erech”. He is the Ruler and God of Heaven and Earth. His symbol is a star and a kind of Maltese cross—emblems of divinity and sovereignty. He is an abstract divinity supposed to inform the whole expense of ethereal space or heaven, while his “wife” informs the more material planes. Both are the types of the Ouranos and Gaia of Hesiod. They sprang from the original Chaos. All his titles and attributes are grapfiic and indicate health, purity physical and moral, antiquity and holiness. Anu was the earliest god of the city of Erech. One of his sons was Bil orVil-Kan, the god of fire, of various metals, and of weapons. George Smith very pertinently sees in this deity a close connection with a kind of cross breed between “the biblical Tubal Cain and the classical Vulcan” . . . who is considered to be moreover “the most potent deity in relation to witchcraft and spells generally”. Anunnaki (Chald.). Angels or Spirits of the Earth; terrestrial Elementals also. Anunit (Chald.) The goddess of Akkad; Lucifer, the morning star. Venus as the evening star as Ishtar of Erech. Aour (Chald.). The synthesis of the two aspects of astro-etheric light; and the od—the life-giving, and the ob—the death-giving light. Argha (Chald.). The ark, the womb of Nature; the crescent moon, and a life-saving ship; also a cup for offerings, a vessel used for religious ceremonies. Assorus (Chald.). The third group of progeny (Kissan and Assorus) from the Babylonian Duad, Tauthe and Apason, according to the Theogonies of Damascius. From this last emanated three others, of which series the last, Aus, begat Belus—“the fabricator of the World, the Demiurgus”. Assur (Chald.). A city in Assyria; the ancient seat of a library from which George Smith excavated the earliest known tablets, to which he assigns a date about 1500 b.c., called Assur Kileh Shergat. Astrology (Gr.) The Science which defines the action of celestial bodies upon mundane affairs, and claims to foretell future events from the position of the stars. Its antiquity is such as to place it among the very earliest records of human learning. … The Egyptians and the Chaldees were among the most ancient votaries of Astrology, though their modes of reading the stars and the modern practices differ considerably. The former claimed that Belus, the Bel or Elu of the Chaldees, a scion of the divine Dynasty, or the Dynasty of the king-gods, had belonged to the land of Chemi, and had left it, to found a colony from Egypt on the banks of the Euphrates, where a temple ministered by priests in the service of the “lords of the stars” was built, the said priests adopting the name of Chaldees. Two things are known: (a) that Thebes (in Egypt) claimed the honour of the invention of Astrology; and (b) that it was the Chaldees who taught that science to the other nations. Now Thebes antedated considerably not only “Ur of the Chaldees”, but also Nipur, where Bel was first worshipped—Sin, his son (the moon), being the presiding deity of Ur, the land of the nativity of Terah, the Sabean and Astrolatrer, and of Abram, his son, the great Astrologer of biblical tradition. All tends, therefore, to corroborate the Egyptian claim. Atarpi (Chald. ), or Atarpi-nisi, the “man”. A personage who was “pious to the gods”; and who prayed the god Hea to remove the evil of drought and other things before the Deluge is sent. The story is found on one of the most ancient Babylonian tablets, and relates to the sin of the world. In the words of G. Smith “the god Elu or Bel calls together an assembly of the gods, his sons, and relates to them that he is angry at the sin of the world”; and in the fragmentary phrases of the tablet: “. . . . I made them. . . . Their wickedness I am angry at, their punishment shall not be small. . . . let food be exhausted, above let Vul drink up his rain”, etc., etc. In answer to Atarpi’s prayer the god Hea announces his resolve to destroy the people he created, which he does finally by a deluge. Baal (Chald. Heb.). Baal or Adon (Adonai) was a phallic god. “Who shall ascend unto the hill (the high place) of the Lord; who shall stand in the place of his Kadushu (q.v. )?” (Psalms XXIV. 3.) The “circle dance” performed by King David round the ark, was the dance prescribed by the Amazons in the Mysteries, the dance of the daughters of Shiloh (Judges xxi., et seq.) and the same as the leaping of the prophets of Baal (I. Kings xviii). He was named Baal-Tzephon, or god of the crypt (Exodus) and Seth, or the pillar (phallus), because he was the same as Ammon (or Baal-Hammon) of Egypt, called “the hidden god”. Typhon, called Set, who was a great god in Egypt during the early dynasties, is an aspect of Baal and Ammon as also of Siva, Jehovah and other gods. Baal is the all devouring Sun, in one sense, the fiery Moloch. Babil Mound (Chald. Heb.). The site of the Temple of Bel at Babylon. Bal (Heb.). Commonly translated “Lord”, but also Bel, the Chaldean god, and Baal, an “idol”. Bel (Chald.). The oldest and mightiest god of Babylonia, one of the earliest trinities,—Anu (q.v. ); Bel, “Lord of the World”, father of the gods, Creator, and “Lord of the City of Nipur’; and Hea, maker of fate, Lord of the Deep, God of Wisdom and esoteric Knowledge, and “Lord of the city of Eridu”. The wife of Bel, or his female aspect (Sakti), was Belat, or Beltis, “the mother of the great gods”, and the “Lady of the city of Nipur”. The original Bel was also called Enu, Elu and Kaptu (see Chaldean account of Genesis, by G. Smith). His eldest son was the Moon God Sin (whose names were also Ur, Agu and Itu), who was the presiding deity of the city of Ur, called in his honour by one of his names. Now Ur was the place of nativity of Abram (see “Astrology”). In the early Babylonian religion the Moon was, likeSoma in India, a male, and the Sun a female deity. And this led almost every nation to great fratricidal wars between the lunar and the solar worshippers—e.g., the contests between the Lunar and the Solar Dynasties, the Chandra and Suryavansa in ancient Aryavarta. Thus we find the same on a smaller scale between the Semitic tribes. Abram and his father Terah are shown migrating from Ur and carrying their lunar god (or its scion) with them; for Jehovah Elohim or El—another form ofElu—has ever been connected with the moon. It is the Jewish lunar chronology which has led the European “civilized” nations into the greatest blunders and mistakes. Merodach, the son of Hea, became the later Bel and was worshipped at Babylon. His other title, Belas, has a number of symbolical meanings. Berosus (Chald.). A priest of the Temple of Belus who wrote for Alexander the Great the history of the Cosmogony, as taught in the Temples, from the astronomical and chronological records preserved in that temple. The fragments we have in the soi-disant translations of Eusebius are certainly as untrustworthy as the biographer of the Emperor Constantine—of whom he made a saint (! ! )—could make them. The only guide to this Cosmogony may now be found in the fragments of the Assyrian tablets, evidently copied almost bodily from the earlier Babylonian records; which, say what the Orientalists may, are undeniably the originals of the Mosaic Genesis, of the Flood, the tower of Babel, of baby Moses set afloat on the waters, and of other events. For, if the fragments from the Cosmogony of Berosus, so carefully re-edited and probably mutilated and added to by Eusebius, are no great proof of the antiquity of these records in Babylonia—seeing that this priest of Belus lived three hundred years after the Jews were carried captive to Babylon, and they may have been borrowed by the Assyrians from them—later discoveries have made such a consoling hypothesis impossible. It is now fully ascertained by Oriental scholars that not only “Assyria borrowed its civilization and written characters from Babylonia,” but the Assyrians copied their literature from Babylonian sources. Moreover, in his first Hibbert lecture, Professor Sayce shows the culture both of Babylonia itself and of the city of Eridu to have been of foreign importation; and, according to this scholar, the city of Eridu stood already “6,000 years ago on the shores of the Persian gulf,” i.e., about the very time when Genesis shows the Elohim creating the world, sun, and stars out of nothing. Boodhasp (Chald.). An alleged Chaldean; but in esoteric teaching a Buddhist (a Bodhisattva), from the East, who was the founder of the esoteric school of Neo-Sabeism, and whose secret rite of baptism passed bodily into the Christian rite of the same name. For almost three centuries before our era, Buddhist monks overran the whole country of Syria, made their way into the Mesopotamian valley and visited even Ireland. The name Ferho and Faho of the Codex Nazaraeus is but a corruption of Fho, Fo and Pho, the name which the Chinese, Tibetans and even Nepaulese often give to Buddha. Dache-Dachus (Chald.) The dual emanation of Moymis, the progeny of the dual or androgynous World-Principle, the male Apason and female Tauthe. Like all theocratic nations possessing Temple mysteries, the Babylonians never mentioned the “One” Principle of the Universe, nor did they give it a name. This made Damascious (Theogonies) remark that like the rest of “barbarians” the Babylonians passed it over in silence. Tauthe was the mother of the gods, while Apason was her self-generating male power, Moymis, the ideal universe, being her only-begotten son, and emanating in his turn Dache-Dachus, and at last Belus, the Demiurge of the objective Universe. Dag, Dagon (Heb.). “Fish” and also “Messiah”. Dagon was the Chaldean man-fish Oannes, the mysterious being who arose daily out of the depths of the sea to teach people every useful science. He was also called Annedotus. Daos (Chald.) The seventh King (Shepherd) of the divine Dynasty, who reigned over the Babylonians for the space of ten sari, or 36,000 years, a saros being of 3,600 years’ duration. In his time four Annedoti, or Men-fishes (Dagons) made their appearance. Davkina (Chald.) The wife of Hea, “the goddess of the lower regions, the consort of the Deep”, the mother of Merodach, the Bel of later times, and mother to many river-gods, Hea being the god of the lower regions, the “lord of the Sea or abyss”, and also the lord of Wisdom. Dynasties. In India there are two, the Lunar and the Solar, or the Somavansa and the Suryavansa. In Chaldea and Egypt there were also two distinct kinds of dynasties, the divine and the human. In both countries people were ruled in the beginning of time by Dynasties of Gods. In Chaldea they reigned one hundred and twenty Sari, or in all 432,000 years; which amounts to the same figures as a Hindu Mahayuga 4,320,000 years. The chronology prefacing the Book of Genesis (English translation) is given “Before Christ, 4004”. But the figures are a rendering by solar years. In the original Hebrew, which preserved a lunar calculation, the figures are 4,320 years. This “coincidence” is well explained in Occultism. Ea (Chald.) also Hea. The second god of the original Babylonian trinity composed of Anu, Hea and Bel. Hea was the “Maker of Fate”, “Lord of the Deep”, “God of Wisdom and Knowledge”, and “Lord of the City of Eridu”. En (Chald.). A negative particle, like a in Greek and Sanskrit. The first syllable of “En-Soph” (q.v. ), or nothing that begins or ends, the “Endless”. Hea (Chald.) The god of the Deep and the Underworld; some see in him Ea or Oannes, the fish-man, or Dagon. Heabani (Chald.) A famous astrologer at the Court of Izdubar, frequently mentioned in the fragments of the Assyrian tablets in reference to a dream of Izdubar, the great Babylonian King, or Nimrod, the “mighty hunter before the Lord”. After his death, his soul being unable to rest underground, the ghost of Heabani was raised by Merodach, the god, his body restored to life and then transferred alive, like Elijah, to the regions of the Blessed. Heptakis (Gr.) “The Seven-rayed One” of the Chaldean astrolaters: the same as Iao. Horchia (Chald.). According to Berosus, the same as Vesta, goddess of the Hearth. Igaga (Chald.) Celestial angels, the same as Archangels. Illinus. One of the gods in the Chaldean Theogony of Damascius. Irkalla (Chald.). The god of Hades, called by the Babylonians “the country unseen”. Ishim (Chald.). The B’ne-Aleim, the “beautiful sons of god”, the originals and prototypes of the later “Fallen Angels”. Ishtar (Chald.). The Babylonian Venus, called “the eldest of heaven and earth”, and daughter of Anu, the god of heaven. She is the goddess of love and beauty. The planet Venus, as the evening star, is identified with Ishtar, and as the morning star with Anunit, the goddess of the Akkads. There exists a most remarkable story of her descent into Hades, on the sixth and seventh Assyrian tiles or tablets deciphered by the late G. Smith. Any Occultist who reads of her love for Tammuz, his assassination by Izdubar, the despair of the goddess and her descent in search of her beloved through the seven gates of Hades, and finally her liberation from the dark realm, will recognise the beautiful allegory of the soul in search of the Spirit. Khaldi. The earliest inhabitants of Chaldea who were first the worshippers of the Moon god, Deus Lunus, a worship which was brought to them by the great stream of early Hindu emigration, and later a caste of regular Astrologers and Initiates. Lubara (Chald.). The god of Pestilence and. Disease. Machagistia. Magic, as once taught in Persia and Chaldea, and raised in its occult practices into a religio-magianism. Plato, speaking of Machagistia, or Magianism, remarks that it is the purest form of the worship of things divine. Maga (Sk.). The priests of the Sun, mentioned in the Vishnu Purâna. They are the later Magi of Chaldea and Iran, the forefathers of the modern Parsis. Mamitu (Chald.). The goddess of Fate. A kind of Nemesis. Maquom (Chald.) “A secret place” in the phraseology of the Zohar, a concealed spot, whether referring to a sacred shrine in a temple, to the “Womb of the World”, or the human womb. A Kabalistic term. Masben (Chald.). A Masonic term meaning “the Sun in putrefaction”. Has a direct reference—perhaps forgotten by the Masons—to their “Word at Low Breath”. Merodach (Chald.). God of Babylon, the Bel of later times. He is the son of Davkina, goddess of the lower regions, or the earth, and of Hea, God of the Seas and Hades with the Orientalists; but esoterically and with the Akkadians, the Great God of Wisdom, “he who resurrects the dead”. Hea, Ea, Dagon or Oannes and Merodach are one. Mulil (Chald.). A name of the Chaldean Bel. Nannak (Chald. ), also Nanar and Sin. A name of the moon; said to be the son of Mulil, the older Bel and the Sun, in the later mythology. In the earliest, the Moon is far older than the Sun. Nargal (Chald.). The Chaldean and Assyrian chiefs of the Magi (Rab Mag). Nergal (Chald.). On the Assyrian tablets he is described as the “giant king of war, lord of the city of Cutha”. It is also the Hebrew name for the planet Mars, associated invariably with ill-luck and danger. Nergal-Mars is the “shedder of blood”. In occult astrology it is less malefic than Saturn, but is more active in its associations with men and its influence on them. Nesku or Nusku (Chald.). Is described in the Assyrian tablets as the “holder of the golden sceptre, the lofty god”. Nissi (Chald.) One of the seven Chaldean gods. Nizir (Chald.). The “Deluge Mountain”; the Ararat of the Babylonians with “Xisuthrus” as Noah. Nogah (Chald.). Venus, the planet; glittering splendour. Omoroka (Chald.). The “sea” and the woman who personifies it according to Berosus, or rather of Apollodorus. As the divine water, however, Omoroka is the reflection of Wisdom from on high. Qû-tamy (Chald.). The name of the mystic who receives the revelations of the moon-goddess in the ancient Chaldean work, translated into Arabic, and retranslated by Chwolsohn into German, under the name of Nabathean Agriculture. Sa or Hea (Chald.). The synthesis of the seven Gods in Babylonian mythology. Sabianism. The religion of the ancient Chaldees. The latter believing in one impersonal, universal, deific Principle, never mentioned It, but offered worship to the solar, lunar, and planetary gods and rulers, regarding the stars and other celestial bodies as their respective symbols. Sar or Saros (Chald.). A Chaldean god from whose name, represented by a circular horizon, the Greeks borrowed their word Saros, the cycle. Sargon (Chald.). A Babylonian king. The story is now found to have been the original of Moses and the ark of bulrushes in the Nile. Sarku (Chald.). Lit., the light race; that of the gods in contradistinction to the dark race called zahmat gagnadi, or the race that fell, i.e., mortal men. Shemal (Chald.). Samael, the spirit of the earth, its presiding ruler and genius. Sisthrus (Chald.). According to Berosus, the last of the ten kings of the dynasty of the divine kings, and the “Noah” of Chaldea. Thus, as Vishnu foretells the coming deluge to Vaivasvata-Manu, and, fore warning, commands him to build an ark, wherein he and seven Rishis are saved; so the god Hea foretells the same to Sisithrus (or Xisuthrus) commanding him to prepare a vessel and save himself with a few elect. Following suit, almost 800,000 years later, the Lord God of Israel repeats the warning to Noah. Which is prior, therefore? The story of Xisuthrus, now deciphered from the Assyrian tablets, corroborates that which was said of the Chaldean deluge by Berosus, Apollodorus, Abydenus, etc., etc. (See eleventh tablet in G. Smith’s Chaldean Account of Genesis, page 263, et seq.). This tablet xi. covers every point treated of in chapters six and seven of Genesis—the gods, the sins of men, the command to build an ark, the Flood, the destruction of men, the dove and the raven sent out of the ark, and finally the Mount of Salvation in Armenia (Nizi r-Ararat); all is there. The words “the god Hea heard, and his liver was angry, because his men had corrupted his purity”, and the story of his destroying all his seed, were engraved on stone tablets many thousand years before the Assyrians reproduced them on their baked tiles, and even these most assuredly antedate the Pentateuch, “written from memory” by Ezra, hardly four centuries B.C. Sukhab (Chald.). One of the seven Babylonian gods. Tamti (Chald.). A goddess, the same as Belita. Tamti-Belita is the personified Sea, the mother of the City of Erech, the Chaldean Necropolis. Astronomically, Tamti is Astoreth or Istar, Venus. Targum (Chald.). Lit., “Interpretation”, from the root targem to interpret. Paraphrases of Hebrew Scriptures. Some of the Targums are very mystical, the Aramaic (or Targumatic) language being used all through the Zohar and other Kabbalistic works. To distinguish this language from the Hebrew, called the “face” of the sacred tongue, it is referred to as ahorayim, the “back part”, the real meaning of which must be read between the lines, according to certain methods given to students. The Latin word tergum, “back”, is derived from the Hebrew or rather Aramaic and Chaldean targum. The Book of Danielbegins in Hebrew, and is fully comprehensible till chap. ii., v. 4, when the Chaldees (the Magician-Initiates) begin speaking to the king in Aramaic—not in Syriac, as mistranslated in the Protestant Bible. Daniel speaks in Hebrew before interpreting the king’s dream to him; but explains the dream itself (chap. vii.) in Aramaic. “So in Ezra iv., v. and vi., the words of the kings being there literally quoted, all matters connected therewith are in Aramaic”, says Isaac Myer in his Qabbalah. The Targumim are of different ages, the latest already showing signs of the Massoretic or vowel-system, which made them still more full of intentional blinds. The precept of the Pirke Aboth (c. i., § I), “Make a fence to the Thorah” (law), has indeed been faithfully followed in the Bible as in the Targumim; and wise is he who would interpret either correctly, unless he is an old Occultist-Kabbalist. Thallath (Chald.). The same as Thalassa. The goddess personifying the sea, identical with Tiamat and connected with Tamti and Belita. The goddess who gave birth to every variety of primordial monster in Berosus’ account of cosmogony. Theli (Chald.). The great Dragon said to environ the universe symbolically. In Hebrew letters it is TLI = 400+30+10 = 440 when “its crest [initial letter] is repressed”, said the Rabbis, 40 remains, or the equivalent of Mem; M=Water, the waters above the firmament. Evidently the same idea as symbolised by Shesha—the Serpent of Vishnu. Tiamat (Chald.). A female dragon personifying the ocean; the “great mother” or the living principle of chaos. Tiamat wanted to swallow Bel, but Bel sent a wind which entered her open mouth and killed Tiamat. Tikkun (Chald.). Manifested Man or Adam Kadmon, the first ray from the manifested Logos. Ur (Chald.). The chief seat of lunar worship; the Babylonian city where the moon was the chief deity, and whence Abram brought the Jewish god, who is so inextricably connected with the moon as a creative and generative deity. Xisusthrus (Gr.). The Chaldean Noah, on the Assyrian tablets, who is thus described in the history of the ten kings by Berosus, according to Alexander Polyhistor: “After the death of (the ninth) Ardates, his son Xisusthrus reigned eighteen sari. In his time happened a great deluge.” Warned by his deity in a vision of the forthcoming cataclysm, Xisusthrus was ordered by that deity to build an ark, to convey into it his relations, together with all the different animals, bird etc., and trust himself to the rising waters. Obeying the divine admonition, Xisusthrus is shown to do precisely what Noah did many thousand years after him. He sent out birds from the vessel which returned to him again; then a few days after he sent them again, and they returned with their feet coated with mud; but the third time they came back to him no more. Stranded on a high mountain of Armenia, Xisusthrus descends and builds an altar to the gods. Here only, comes a divergence between the polytheistic and monotheistic legends. Xisusthrus, having worshipped and rendered thanks to the gods for his salvation, disappeared, and his companions “saw him no more”. The story informs us that on account of his great piety Xisusthrus and his family were translated to live with the gods, as he himself told the survivors. For though his body was gone, his voice was heard in the air, which, after apprising them of the occurrence, admonished them to return to Babylon, and pay due regard to virtue, religion, and the gods. This is more meritorious than to plant vines, get drunk on the juice of the grape, and curse one’s own son. Zirat-banit (Chald.). The wife of the great, divine hero of the Assyrian tablets, Merodach. She is identified with the Succoth Benoth of the Bible. See also: Isis Unveiled II:281, 298, etc. ; Secret Doctrine, I:197, 214; II: 37, 397, 705, etc., etc. The Chaldean religion is entirely lost to the world now, except in its disfigured Sabeanism as rendered by archeologists. It is the outcome of three great religions, the Indian, the Mazdean, and the Egyptian, and bears direct relationship to all of these. The Chaldean Book of Numbers was derived from the “Book of Dzyan” described in theosophical literature. And of the Chaldean works which are translated into Arabic and preserved by some Sufi initiates, it is asserted that the public knows nothing. The Sabeans were astrolaters, so called; those who worshipped the stars — or rather their “regents.” Sabeanism was thus the religion of the ancient Chaldees. They believed in one impersonal, universal deific Principle, although they never mentioned It, but offered worship to the solar, lunar, and planetary gods and rulers, regarding the stars and other celestial bodies as their respective symbols. The Chaldeans, or Kasdim, were at first a tribe, and then a caste of learned Kabbalists. They were the savants, the magians of Babylonia, astrologers and diviners. The famous Hillel, the precursor of Jesus in philosophy and ethics, was a Chaldean. In every cosmogony, behind and higher than the creative Deity there is a superior Deity, a planner, an architect, of whom the Creator is but the executive agent. And still higher, over and around, within and without, there is the UNKNOWABLE and the unknown, the Source and Cause of all these Emanations. In Chaldea the great First Cause as the ONE, the primordial germ, the unrevealed and grand ALL, existing through himself — was Ilu. This was the Kabbalistic En-Soph (No-thing). Whenever the Eternal awakes from its slumber and desires to manifest itself, it divides itself into male and female. It then becomes in every system the double-sexed Deity, the universal Father and Mother, the Anu-Anata (male-female) of the Chaldeans. From the union of the two a third, or creative Principle — the SON, or the manifested Logos — is the product of the Divine Mind. In Chaldea the Son was Bel. Moreover, every such system has a triple male trinity, each proceeding separately through itself from one female Deity. In Chaldea the trinity of Anu, Bel, and Hea, blend into One who is Anu (double-sexed) through the Virgin Mylitta. To place it still clearer, the Babylonian system recognized first the ONE (Ad), who is never named but only acknowledged in thought, as the Hindu Swayambhuva. From this he becomes manifest as Anu, the one above all — Monas. Next comes the Demiurge (the “Builder” or executive Architect of the Universe) called Bel, who is the active power of the Godhead. The third is the principle of wisdom, Hea, who also rules the sea and the underworld. Each of these — Anu, Bel, and Hea —has his divine consort, giving us Anata, Belta, and Davkina. These, however, are only like the Shaktis, the “forces” of Nature. But the female principle is denoted by Mylitta, the Great Mother, called also Ishtar. With the three male gods we have the Triad, or Trimurti. “The fact is, that all the three ‘persons’ of the Trimurti are simply three qualitative attributes of the universe of differentiated Spirit-Matter; the self-formative, the self-preserving, and the self-destroying, for purposes of regeneration and perfectibility.” With Mylitta added to the Trimurti we have the Arba or Four (Tetraktys of Pythagoras), which perfects and potentializes all. Bel was the oldest and mightiest of the gods of Babylonia, one of the earliest trinities. He was “Lord of the World,” father of the gods and “Lord of the city of Nippur.” Hea was the maker of fate, Lord of the Deep, God of Wisdom and esoteric Knowledge, and Lord of the city (i.e., Mysteries) of Eridu. Anu was the earliest god of the city of Erech. The “doctrine of the Trinity” is first met northeast of the Indus; and, tracing it to Asia Minor and Europe, one recognizes it among every people who had anything like an established religion. It was taught in the oldest Chaldean, Egyptian, and Mithraic schools. The Chaldean Sun-god, Mithra, was called “Triple” and the trinitarian idea of the Chaldeans was a doctrine of the Akkadians who, themselves, belonged to a race which was the first to conceive a metaphysical trinity. According to the archeologist Rawlinson, the Chaldeans were a tribe of the Akkadians who lived in Babylonia from earliest times; but according to others they were Turanians who instructed the Babylonians into the first notions of religion. But these same Akkadians, who were they? The only tradition worthy of credence is that these Akkadians instructed the Babylonians in the Mysteries, and taught them the sacerdotal or Mystery language. 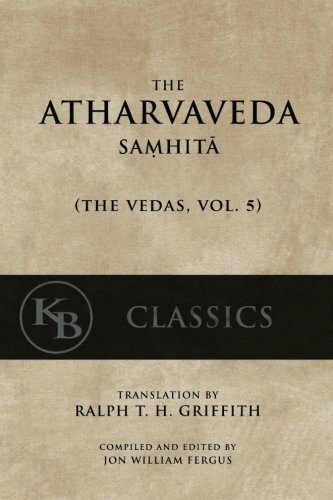 These Akkadians were then simply a tribe of the Hindu-Brahmans — now called Aryans — and their vernacular language, the Sanskrit of the Vedas; and the sacred or Mystery language, that which, even in our own age, is used by the Hindu fakirs and initiated Brahmans in their magical evocations. They were emigrants on their way to Asia Minor from India, the cradle of humanity, and their sacerdotal adepts tarried to civilize and initiate a barbarian people. The Babylonian civilization was neither born nor developed in that country. It was imported from India, and the importers were Brahmanical Hindus. Whether the latter were Brahmans from the Brahmanic planisphere proper (40° north latitude) or from India (Hindustan), or again from the India of Central Asia, we will leave to philologists of the future to decide. Science has discovered enough to inform us that Sanskrit originals of Nepal, were translated by Buddhist missionaries into nearly every Asiatic tongue. Likewise Pali manuscripts were translated in Siamese, and carried to Burma and Siam; it is easy therefore to account for the same religious myths circulating in so many countries. But Manetho tells us also of Pali shepherds who emigrated westward; and when we find some of the oldest Ceylonic traditions in the Chaldean Kabbala and Jewish Bible, we must think that either Chaldeans or Babylonians had been in Ceylon or India, or the ancient Pali had the same traditions as the Akkadians, whose origin is so uncertain. Suppose even Rawlinson to be right, that the Akkadians did come from Armenia, he did not trace them farther back. As the field is open to any kind of hypothesis, we submit that this tribe might as well have come to Armenia from beyond the Indus, following their way in the direction of the Caspian Sea — a part of which was also India once upon a time — and from thence to the Euxine. Or they might have come originally from Ceylon by the same way. Genesis is purely a reminiscence of the Babylonian captivity. The names of places, men, and even objects can be traced from the original text to the Chaldeans and the Akkadians, the progenitors and Aryan instructors of the former. The garden of Eden as a locality is no myth at all; it belongs to those landmarks of history which occasionally disclose to the student that the Bible is not all mere allegory. In the Chaldean Book of Numbers the location of Eden is designated by numerals, and in the cipher Rosicrucian manuscript left by Count St. Germain it is fully disclosed. The Elohim may be accepted in one sense for gods or powers, and taken in another one for the Aleim, or priests; the Hierophants initiated into the good and evil of the world. For there was a college of priests called the Aleim, while the head of their caste, or the chief of the hierophants, was known as Java Aleim. In the Chaldean as well as in every exoteric scripture, Beings who refuse to create, i.e., who are said to oppose thereby the Demiurge, are denounced as the spirits of Darkness. The “Fallen Angels” and the legend of the “War in Heaven” is purely pagan in its origin and comes from India via Persia and Chaldea. The fable of the Deluge — both the Hindu and the Chaldean account — has been considered by orthodox commentators to have been borrowed from the Mosaic scriptures. But surely if such a universal cataclysm had ever taken place within man’s memory, some of the monuments of the Egyptians, of which many are of such tremendous antiquity, would have recorded the occurrence. But till now there has not been found the remotest allusion to such calamity. On the other hand the Chaldeans preserved the tradition, as we find Berosus — a priest of the temple of Belus — testifying to it, and the ancient Hindus possessed the legend as given by Vaivasvata. Now, there is but one explanation of the extraordinary fact that of two contemporary and civilized nations like Egypt and Chaldea, one has preserved no tradition of it whatever, although it was the most directly interested in the occurrence — if we credit the Bible — and the other has. The deluge noticed in the Bible, in one of the Brahmanas, and in the Berosus Fragment, relates to the flood which, about 10,000 B.C., according to Bunsen, and according to Brahmanical computations of the Zodiac also, changed the whole face of Central Asia. Thus the Babylonians and the Chaldeans might have learned of it from their mysterious guests, christened by some Assyriologists Akkadians, or what is still more probable, they, themselves perhaps, were the descendants of those who had dwelt in the submerged localities. The Jews had the tale from the latter as they had everything else; the Brahmans may have recorded the traditions of the lands which they first invaded, and had perhaps inhabited before they possessed themselves of the Punjab. But the Egyptians, whose first settlers had evidently come from Southern (Dravidian) India, had less reason to record the cataclysm, since it had perhaps never affected them except indirectly, as the flood was limited to Central Asia. It was Berosus who wrote for Alexander the Great the history of the Babylonian cosmogony, as taught in the temples, from the astronomical and chronological records preserved in the Temple of Belus. The only guide to this cosmogony may now be found in the fragments of the Assyrian tablets, evidently copied almost bodily from the earlier Babylonian records which — say what the Orientalists may — are undeniably the originals of the Mosaic Genesis, of the Flood, the tower of Babel, of baby Moses set afloat on the waters, and of other events. As the Babylonian accounts are restored from hundreds of thousands of broken fragments, the proofs here cited are comparatively scanty; yet such as they are, they corroborate almost every one of our teachings, certainly three at least. These are (1) That the race which was the first to fall into generation was a dark race (Zalmat Gaguadi), which they call the Adami or dark Race; and that Sarku, or the light Race, remained pure for a long while subsequently. (2) That the Babylonians recognised two principal Races at the time of the Fall, the Race of the Gods (the ethereal doubles of the Pitris) having preceded these two. These “Races” are our second and third root-races. (3) That the seven (primeval) Gods, each of whom created a man, or group of men, were “the gods imprisoned or incarnated.” All these gods or “Lords” collectively “who bestow Intelligence” are our incarnating Dhyan Chohans, connected as well with the Elohim, and the seven informing gods of Egypt, Chaldea, and every other country. Hea, their synthesis, the god of Wisdom and of the Deep, is identified with Oannes-Dagon, at the time of the fall, and called (collectively) the Demiurge, or Creator. Our races, all cosmogonies show, have sprung from divine races, by whatever name they are called. The Chaldeans had their ten and seven Anedots, which was the generic name for their Dragons of Wisdom. The name of the Dragon in Chaldea was not written phonetically, but was represented by two monograms, probably meaning, according to the Orientalists, “the scaly one.” We find the priests assuming the names of the gods they served, the “Dragons” held throughout all antiquity as the symbols of Immortality and Wisdom, of secret Knowledge and of Eternity. The allegory of Oannes, the Anedot, reminds us of the Dragon and Snake-Kings; the Nagas who in Buddhist legends instruct people in wisdom on lakes and rivers, and end by becoming converts to the good Law and Arhats. Musarus Oannes, the Anedot, known in the Chaldean “legend,” transmitted through Berosus and other ancient writers as Dagon, the “Man-Fish,” came to the early Babylonians as a reformer and an instructor. Appearing from the Erythraean (Red) Sea, he brought them civilization, letters and sciences, law, astronomy, religion, teaching them agriculture, geometry, and the arts in general. There were Anedoti who came after him; but Musarus Oannes was “the first to appear, and this he did in the reign of Ammenon, the third of the ten antediluvian Kings whose (divine) Dynasty ended with Xisuthrus, the Chaldean Noah.” The meaning of the allegory is evident. The “fish” is an old and very suggestive symbol of the Mystery-language, as is also “water;” Hea was the god of the sea and Wisdom, and the sea serpent was one of his emblems, his priests being “serpents” or Initiates. The hidden meaning becomes clear to the Occultist once he is told that “this being (Oannes) was accustomed to pass the day among men, teaching; and when the sun had set, he retired again into the sea, passing the night in the deep, for he was amphibios,” i.e., he belonged to two planes, the spiritual and the physical. … Oannes is dimly reflected in Jonah, and even in John the Precursor, both connected with Fish and Water. Layard showed long ago that the “fish’s head” was simply a head gear, the mitre worn by priests and gods, made in the form of a fish’s head, and which in a very little modified form is what we see even now on the heads of the high Lamas and Romish Bishops. Osiris had such a mitre. The fish’s tail is simply the train of a long stiff mantle as depicted on some Assyrian tablets, the form being seen reproduced in the sacerdotal gold cloth garment worn during service by the modern Greek priests. What is known of Chaldean Moon-Worship, of the Babylonian god Sin, is very little, and that little is apt to mislead the profane student who fails to grasp the esoteric significance of the symbols. As popularly known to the ancient profane philosophers and writers (for those who were initiated were pledged to silence) the Chaldees were worshippers of the moon under her (and his) various names, just as were the Jews who came after them. Lunar magnetism generates life, preserves and destroys it, psychically as well as physically. The worshippers of the Teraphim (the Jewish Oracles) “carved images and claimed that the light of the principal stars (planets) permeating these through and through, the angelic VIRTUES (or the regents of the stars and planets) conversed with them, teaching them many most useful things and arts.” Seldenus explains that the Teraphim (idols) were built and composed after the positions of certain planets, and according to figures that were located in the sky and called the tutelary gods. With the Chaldeans the moon was Sin, and Nannak or Nannar, the son of Mulil, the older Bel. It is Mulil (Bel) who caused the waters of the Flood to fall from heaven on earth, for which Xisuthrus would not allow him to approach his altar. Behind the lunar “worship” was the secret teaching that the first race of men, the images and astral doubles of their Fathers, were the pioneers or the most progressed Entities from a preceding though lower sphere, the shell of which is now our Moon. But even this shell is all-potential, for having generated the earth, it is the phantom of the Moon which, attracted by magnetic affinity, sought to form its first inhabitants, the pre-human monsters. “While the gods were generated in the androgyne bosom of Mother-space, the reflection of Hea’s Wisdom became on earth the woman Omoroka, the Deep or the Sea, which esoterically or even exoterically is the Moon. It was the Moon (Omoroka) who presided over the monstrous (purely physical) creation of nondescript beings which were slain by the Dhyanis. Traditions about a race of giants in days of old were universal; they exist in oral and written lore. Chaldea had her Idzubar (Nimrod), a hero, shown in all the tablets as a mighty giant who towered in size above all other men as the cedar towers over brushwood — a hunter, according to cuneiform legends, who contended with and destroyed the lion, tiger, wild bull, and buffalo, the most formidable animals. The Babylonian Venus was called Ishtar, “the eldest of heaven and earth” and daughter of Anu, god of heaven. The legend is that Ishtar, the beautiful goddess, descended into Hades after her beloved Tammuz, and found that this dark place of the shades had seven spheres and seven gates, at each of which she had to leave something belonging to her. Any Occultist who reads of her love for Tammuz, his assassination by Idzubar, the despair of the goddess and her descent and final liberation from the dark realm, will recognize the beautiful allegory of the soul in search of the Spirit. Birs Nimrud is believed by the Orientalists to be the site of the tower of Babel. This great pile of Birs Nimrud is near Babylon. Rawlinson and several Assyriologists examined the excavated ruins and found that the tower consisted of seven stages of brick-work, each stage of a different color, which shows that the temple was devoted to the seven planets. Even with the three higher stages or floors in ruins, it still rises now 154 feet above the level of the plain. The Chaldeans, with the Egyptians, were among the most ancient votaries of Astrology. Egypt claimed the honor of its invention; the Chaldees taught the science to other nations. The Akkadians and Chaldeans kept a Sabbath day of rest every seven days, they also had thanksgiving days, and days of humiliation and prayer. The number seven was especially sacred. The great temple of Babylon existed long before 2250 B.C. Its Holy of Holies was within the shrine of Nebo, the prophet god of Wisdom (Mercury). The Chaldeans, whom Cicero counts among the oldest magicians, placed the basis of all magic in the inner powers of man’s soul, and by the discernment of magic properties in plants, minerals, and animals. The magic of the ancient Chaldeans was but a profound knowledge of the powers of simples and minerals. By the aid of these they performed the most wonderful “miracles.” Magic with them was synonymous with religion and science. It was only when the theurgist desired divine help in spiritual and earthly matters that he sought direct communication through religious rites, with pure spiritual beings. With them, even, those spirits who remain invisible and communicate with mortals through their awakened inner senses, as in clairvoyance, clairaudience, and trance, could only be evoked subjectively and as a result of purity of life and prayer. But all physical phenomena were produced simply by applying a knowledge of natural forces, although certainly not by the method of legerdemain, practised in our days of conjurers. There was a vast difference between the true worship taught to those who showed themselves worthy, and the state religions. 1. NOTE.—A student’s collation from standard Theosophical works.